E-mail marketing is known as a process which involves marketing a commercial message directly into a group of email users. This is one of the most popular methods of marketing at present. Business owners send email messages to existing and potential clients with an aim of persuading them to try their products and services. E-marketing usually involves the act of sending ads, soliciting sales or donations, requesting business and building trust, brand awareness and loyalty through email. The entire process is also done with the help of the existing customer database of a business organization or its cold lists. A lot of experts also define e-mail marketing as the process of sending messages through email with an aim of building an even stronger relationship with existing customers to promote repeat business and customer loyalty. E-mail marketing is also a process used by business owners in order to acquire new customers and convince them to immediately buy something. It can also be defined as the method of sending email messages containing ads to present and prospective customers. If you want to successfully carry out all your e-mail marketing campaigns in the future, then it is important for you to increase your knowledge about it by enrolling in an e-mail marketing certification program. Through this program, you will understand the major types of e-mail marketing including those that use e-mail newsletters, direct e-mails and transactional e-mails and how you can use each of them to your greatest advantage. You will also know exactly what you need to do to achieve success when doing your e-mail marketing campaigns. The e-mail marketing certification program from Brainmeasures is guaranteed to cover all the concepts and strategies behind the e-mail marketing process. This means that the e-mail marketing course will mold you into an expert in the industry so helping your business or the organization which you are working for to increase its profitability will no longer become a difficult task. 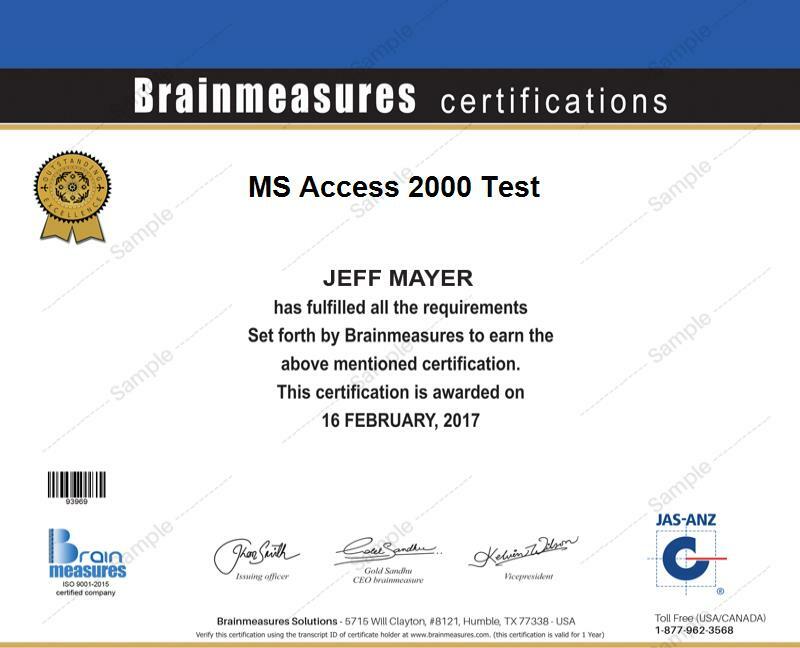 Brainmeasures boasts of its ISO certification which makes the public realize how legitimate all its programs are. The online certification company is also filled with experts in the e-mail marketing industry and they are the ones who developed the entire e-marketing certification program and the online marketing test which is a huge part of it. Bear in mind that you won’t receive your certificate if you do not get a passing percentage on the e-mail marketing exam so you have to be really serious in completing the certification course. The e-mail marketing certification program is designed to help people receive huge amounts of profit by doing marketing campaigns through email. This is perfect for business owners or professionals who are working in the sales department and aim to increase the number of their customers and the amount of their sales by sending out promotional e-mails. With the help of the program from Brainmeasures, they will no longer find it hard to get the profitable benefits of any e-mail marketing campaign. As an e-mail marketing certification holder, you can expect to notice a significant increase in your annual earnings. The reason behind this is that certified e-mail marketing experts are in great demand at present. With the help of your e-mail marketing certificate, you get the chance to earn an annual salary of $55,000 to $166,000.